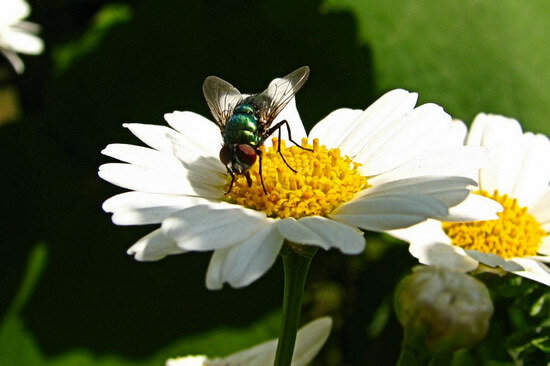 One more of the metallic-green fly doing some snorkeling on the Oxeye Daisies. 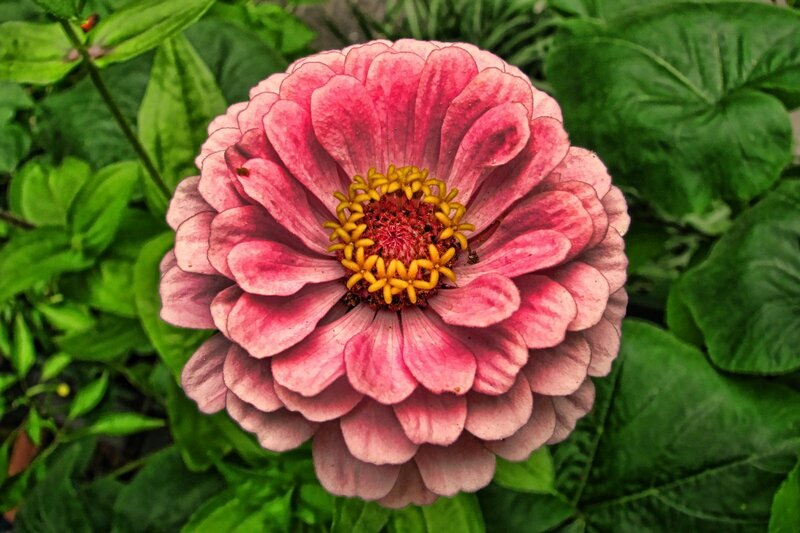 on this Zinnia and the end result looks surprisingly good! 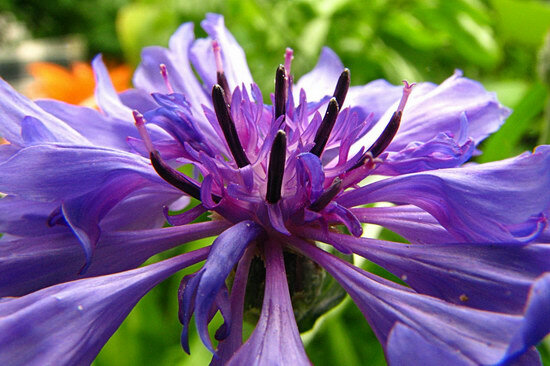 Cornflower closeup – these are only 3-4cm wide, but imagine they would be ten times that size!